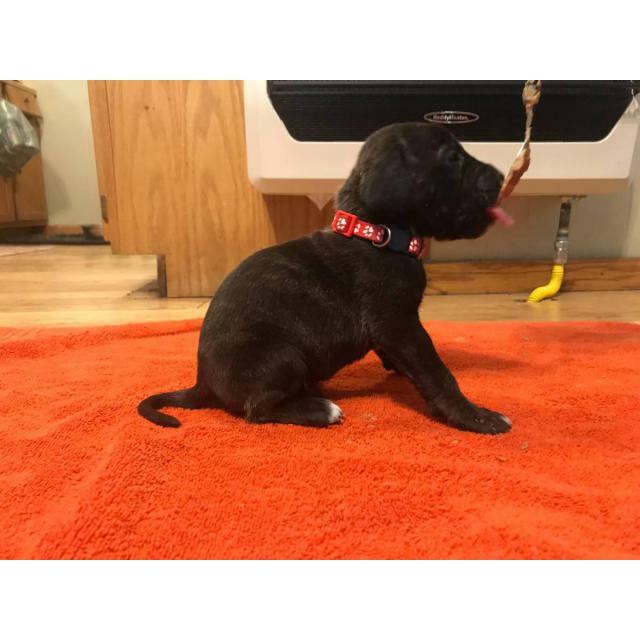 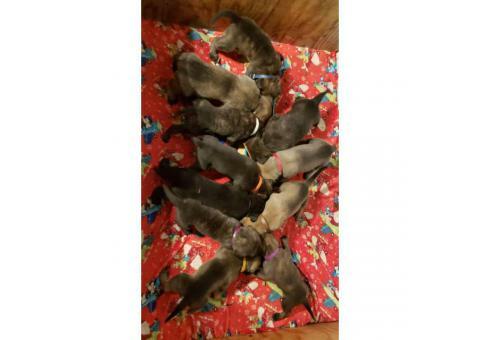 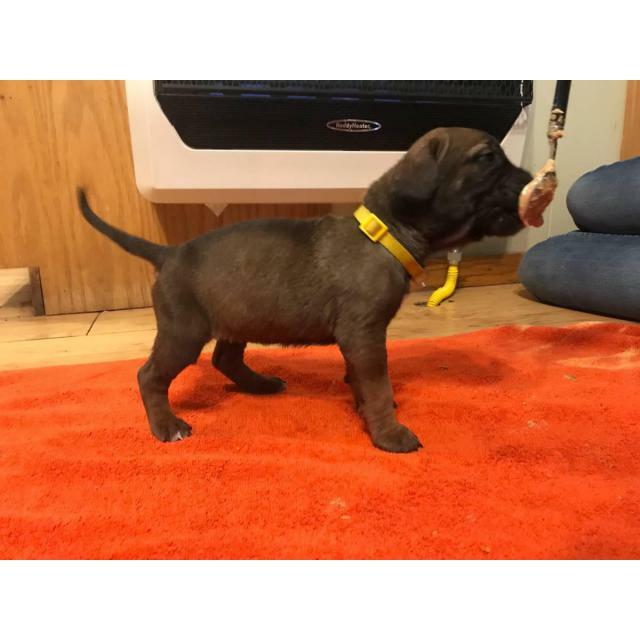 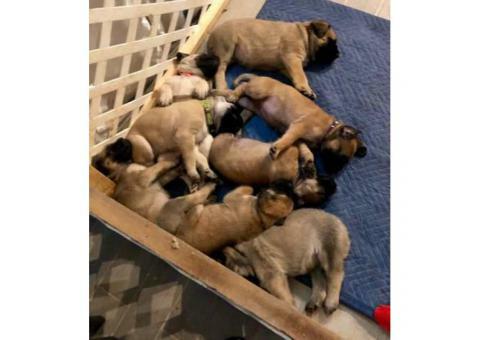 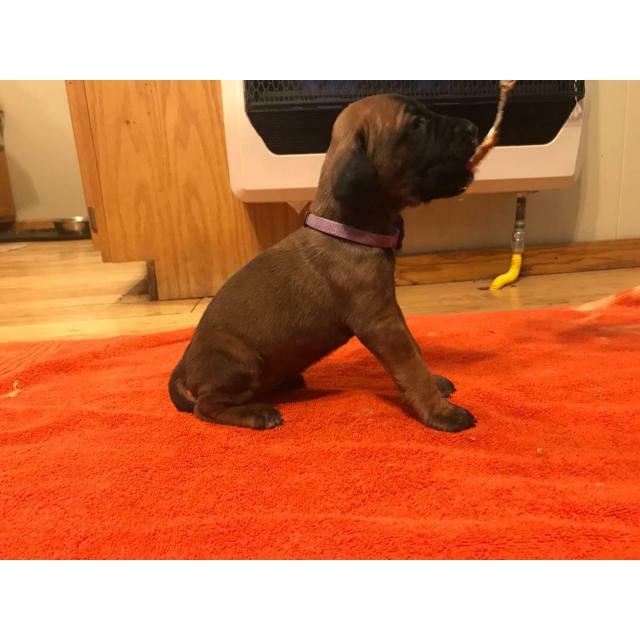 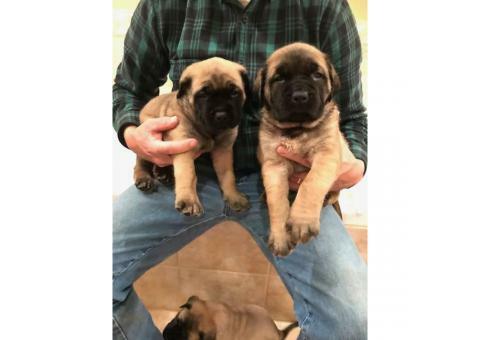 English Neapolitan Mastiffs puppies. 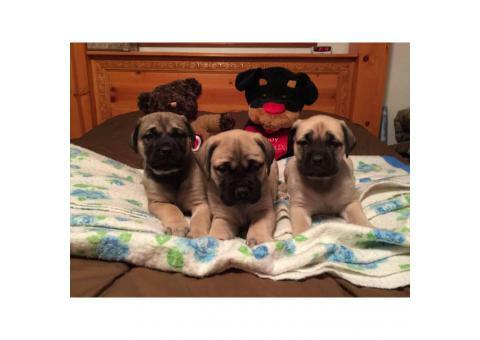 Were born on Christmas Eve and will be ready go home at 60 days, the weekend after Valentine's Day. 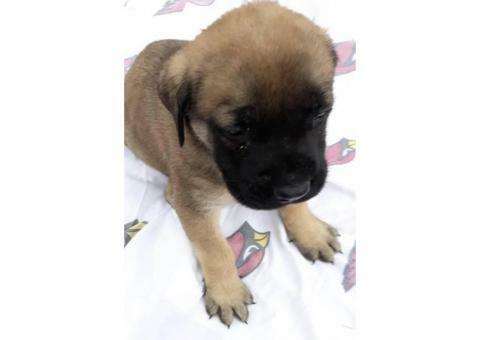 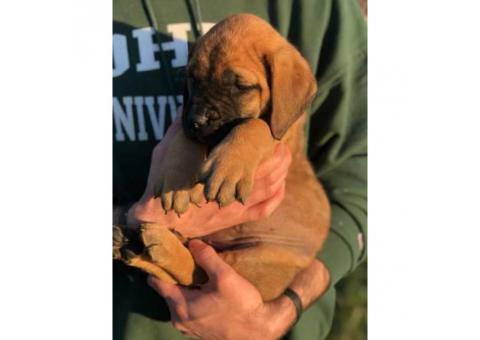 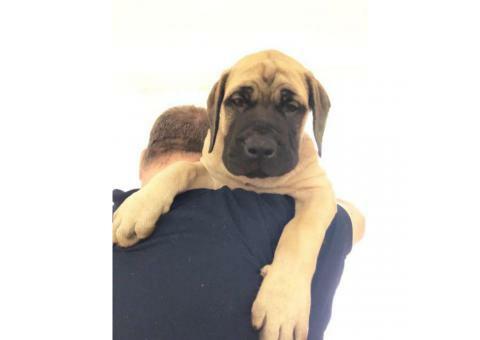 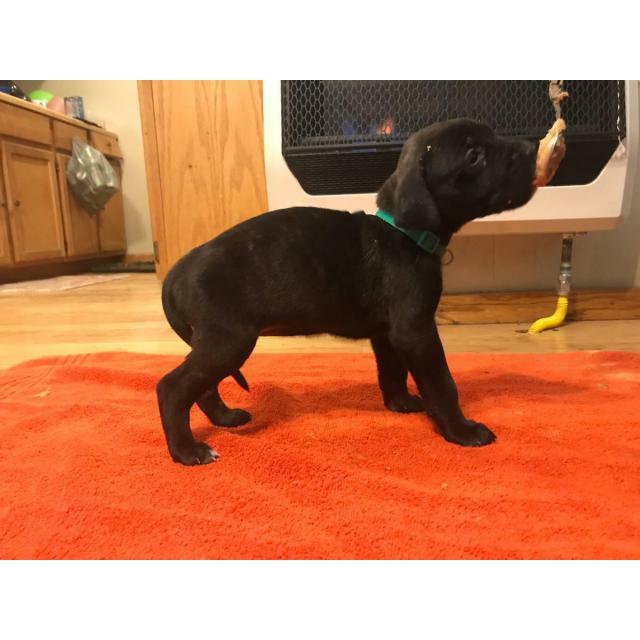 Mom is English Mastiff and father is a Neapolitan Mastiff. 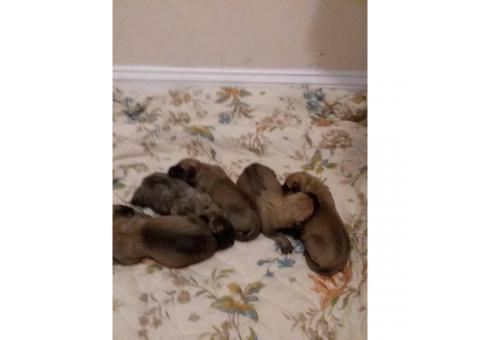 Have started there worming medicine and can have there 1st shot at five to six weeks. 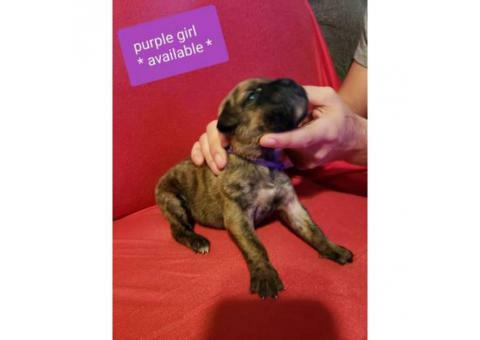 The purple collar (female) and also the black and red collar (male) are nevertheless available.